Here is a list of some of the best musky fishing resorts, lodges and camps in their various areas. Just “CLICK” on any of the names below to visit their web sites. Whether you prefer a drive to resort or a fly-in outpost, Anderson’s Lodge offers you the convenience of both, giving you the opportunity to fish one of Ontario’s crown jewels “famous” Lac Seul. Known as one of the best Walleye fisheries in the province, this lake also produces some monster Muskies that are sure to get your adrenaline rushing! Mix up the action and try 1 of 6 other Musky lakes including Big Vermilion, Little Vermilion, Closs, Cedarbough, and the sanctuaries Maskinonge and Hooch. Steve Herbeck and his staff offer excellent accommodations along with top trophy musky fishing on world famous Eagle Lake. Steve has long been known as professional musky guide, come and let him show you some of his tricks that have accounted for 21 muskies over 40 lbs. in the last five years. We offer world class musky fishing with good walleye, northern pike and bass. Located on Stoco Lake in Tweed Ontario. Neighboring Moira Lake is 20 minutes away. Beachwood Hollow Resort is a friendly, family oriented cottage resort. Conveniently located within walking distance to shops and restaurants. Twelve 1-4 bedroom housekeeping cottages equipped with Cable T.V. Full Kitchens (pot, pans, dishes, utensils, microwave, coffee maker, toaster, dish soap, frig and stove supplied), electric heat, A/C, picnic tables, individual fire pits and propane B.B.Q’s. Our resort is on municipal water and is safe for drinking. We look forward to hearing from you! Have you been thinking how nice it would be to get away for a little fishing and relaxation? Well, we have just a place! From our base in Kenora, Ontario, approximately 130 miles northwest of International Falls, Minnesota, we can fly you to some of the most deluxe, remote outpost cabins in Northwestern, Ontario, accessible only by float plane. We are the only outfitter on all of our fly-in lakes and can give you complete fishing privacy — NO NEIGHBORS! Lake of the Woods is the 100th largest lake in the world and could never be fully explored, even in a lifetime. Whether it is fishing for a story or taking a week to get away from your regular life, Canadian Haven has something for everyone. We can setup fly-in fishing trips, provide you with a boat rental , or a successful guided fishing package. So explore our web site and give us a call. We’d love to hear from you. Jerry & Ellie’s Cedar Lake Camp has 11 lakeside housekeeping cabins that will comfortably accommodate you on your musky hunting adventure. 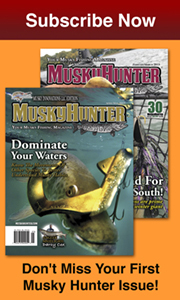 The 54 minimum length for keepers on Cedar Lake has proven to be a musky hunter’s dream. Cedar Lake has many weed beds, rocky shore lines and sunken rock formations that provide excellent musky habitat. A quick glance of our website will inform you of our camp amenities along with a tour of each cabin. $515 for a 7 day stay includes cabin/boat & motor, unlimited gas & ice. Cedar Lake Lodge is an extraordinary, remote, wilderness drive-to Canadian fishing resort where you can experience a trophy fishing trip of a lifetime. The lodge is located on a 100 acre-island, nestled among the trees overlooking water. Every cabin has a full view of Cedar Lake, a Class A Muskie fisherie. The lake and river system offers 6,600 acres of prime Canada fishing and access to 15,000 acres of the six adjoining lakes of the Cedar River watershed, without the need to portage. Imagine tieing on to a 50″ plus muskie before lunch on your next Canada fishing trip! Check out our web site to view our photo gallery and well-equipped, clean and spacious cabins. Cedar Point Resort guests love our location. We’re located on the north end of Cedar Lake in Time Square, which is where the East Arm and the West Arm of Cedar Lake meets with the Cedar River. The Cedar River runs up to Perrault Lake. This gives you access to nine lakes with a total of 20,000 acres of water to fish. Cedar Lake is a 6500 acre lake, tea colored water with more than 61 miles of shoreline and an average depth of around 20′. There are many sunken reefs, bays, islands, shoals, weed beds and moving water that runs right through. Cedar Lake has a large population of White Fish, Red Horse Suckers and Perch our Muskies have a great abundance of food. Cedar Lake is a Multi-Specie Lake with walleye, jumbo perch, smallmouth bass, northern pike, muskies – We are a Class A Muskie Lake. Al Lindner from In-Fisherman Magazine says: “Crow Rock Lodge is centrally located on Lake of the Woods for some of the finest muskie, smallmouth, and walleye fishing in the world. Unique to Crow Rock are private little lakes on the island that hold smallmouths when the weather’s too rough on the Woods. The guides here are good, knowledgeable anglers, the lodging is superior, and the fishing can’t get much better”. LittleÂ Vermilion is the largest in an eleven-lake system. Approximately sixteen miles long, Little Vermillion is a long narrow body of water with a lower and upper section. These spring-fed waters are deep and cold with numerous bays, reefs, and deep weed beds that have created excellent fish-holding structures. The lake forage consists of whitefish, cisco, suckers, perch, various minnow life, and crayfish. With the combination of all these factors, the unpressured-waters of Little Vermilion offers our guests some of the best sportfishing Canada has to offer; year after year. Located in the heart of the 1000 Islands, we are central to arguably the best fishing spots in the region. For Muskie fisherman, head out to the 40 Acres Shoal where in Nov. 2008 the World Record Live Release Muskie was caught (65 lbs). The unique and diverse natural geography of the Thousand Islands provides a home for all the favorite sport fish including: Walleye (Pickerel), Large & Small Mouth Bass and Northern Pike. Launch your boat from our ramp and keep it in the boat house, or choose to relax and have our fishing guide take care of the details, including a shore breakfast on our private island. Horseblock Point offers eight cottages ranging in size and uniqueness and can accommodate from 2 to 8 people, depending on the cottage. All were fully restored in 2008 and include new mini kitchens, LCD flat panel televisions and satellite receivers. BBQ grills are also on site. We are located on the water, five minutes from the U.S. border and five minutes from the quaint town of Gananoque. Lakair Lodge is located on Nipissing’s famous West Arm, an area that boasts some of North America’s largest muskies. The sheltered waters of the West Arm and West Bay of Lake Nipissing are made up of hidden back bays, and numerous small rocky islands. Here you’ll find many shoals (fish magnets) and shallows with extensive beds of cabbage weeds; other areas have deep clear water with depths down to 60 feet. This all results in a great diversity of structure and an abundance of forage fish. Lake Nipissing has a large pike population so you have to work hard for muskies, but the muskies tend to be larger fish (over 40 inches and up). A new world record in the catch and release category was landed on Nipissing in the fall of 2006. Each year we see several fish caught in the 50 inch to 56 inch range. Our family, through four generations, has been catering to sports-fishermen here, on the West Arm since 1919. We offer full American Plan (meals) and Housekeeping packages including rental boats and motors. Mashkinonje Lodge on Lake Nipissing is the ultimate Musky fishing destination. Nipissing belongs to a short list of lakes and rivers capable of producing world-record potential fish; and, is home to the 58-inch world record catch and release musky (caught in October 2006). Mashkinonje Lodge offers fully-equipped housekeeping waterfront accommodations, docking facilities and professional guiding services. We are located just 3.5 hours north of Torono in a quiet, sheltered setting on the west arm of Lake Nipissing. 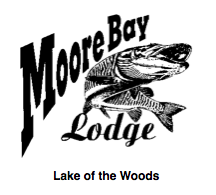 Moore Bay Lodge is our boat-in fishing lodge on Lake of the Woods close to Kenora on Pipestone Peninsula. 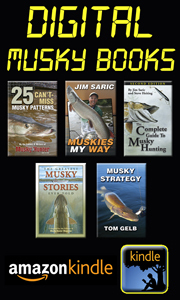 Many famous “Musky Hot Spots” are just around the corner. Fishermen from other resorts are coming into our area to catch their muskies here. So why don’t stay here in our lodge and having just short ways to drive to your fishing destinations ? Our 9 newly renovated housekeeping cabins are very clean and well equipped. Please ask for our August and September Discounts. Look no further than Nielsen’s Fly-In Lodge , celebrating our 25th year in business on beautiful Rowan Lake. Rowan Lake is a remote Ontario wilderness destination that supports one of the best multi-species freshwater fisheries in Ontario. Many seasoned anglers come to Rowan lake in search of walleye, lake trout, northern pike, small and large mouth bass and trophy muskies. Many avid muskie fisherman return to Nielsen’s each year in search of world record muskie! Located 25 miles from Nestor Falls on the shores of Rowan Lake. Equipped with modern baths, Nielsen’s ultra-clean cabins are a nice way to enjoy the comforts of the outdoors. Cabins cleaned daily. Meals served in the main lodge. All-you-can-eat breakfasts and dinners with the option of sandwich box lunch or our tasty shore lunch fixings to enjoy the morning’s catch. Our equipment is second to none: We have 16-foot wide beam Lund boats with 4 stroke 20hp Mercury motors. Our World-Class fishery is matched only by the beauty and coziness of our comfortable cabins and outstanding lodge. Our staff and accommodations will exceed your highest expectations. Whatever your needs, we can make your next fishing trip a comfortable and memorable vacation! North Shore Lodge is a full service fishing lodge on Eagle Lake. We are located on the very productive eastern half of the lake, close to some of the best fishing Eagle Lake has to offer. Whether you enjoy casting for trophy sized Musky or just jigging for some tasty Walleye, we are never very far from the action. We also feature abundant Northern Pike and big, scrappy Smallmouth Bass. Located on the Northwest Bay of Lake Nipissing, we offer 2 or 3 bedroom housekeeping cottages along with campsites. Whether you are on a fishing or family vacation, you will feel at home with us. Nipissing boasts a fantastic warm water fishery with Musky, Walleye, Bass and Pike being the main species. From large weed flats to rock points, back bays or mid lake shoals, Nipissing has it all. Come visit us — you’ll be happy you did! Rumor has it that Dinorwic Lake is holding the next world record and is a sleeper lake ready to make history. As well as Musky, Dinorwic Lake has great fishing for Walleye, Northern Pike, Small Mouth Bass and Yellow Perch. 7 Night housekeeping cabin rentals start at just over $300 per person. There are only two camps that sit on Dinorwic Lake the other of which closes early September. We are here to assist you in any way we can to put you on the fish because we want you to have the most successful fishing trip possible.Â Come stay with us and discover what our 18,000 acre lake has to offer you. You will never know if you don’t try! Lake of the Woods, Sabaskong Bay, Nestor Falls, Ontario Drive-in resort offering lakefront housekeeping cabin accommodations, fly-in outpost camp, daily fly-in trips, boats, motors, Charter boat service, guides and all related services for a pleasant vacation on beautiful Lake of the Woods, Sabaskong Bay. An Ultra-Modern Fishing and Hunting Resort Located on Lake of the Woods, offering clean, comfortable and modern cottages with access to one of the best musky fishing lakes in the world. If you are looking for the ultimate musky fishing getaway vacation, look no further! Red Wing Lodge was chosen for an unprecedented 8th time to host the Muskie Inc. Chapter Challunge in 2012. We have the most comprehensive data on muskie dating back to 1987 with approx. 12,000 fish in our database which includes: length, lure, time-of-day, moon phases, weather conditions, and individual comments about each fish caught the last 26 years. Check our new referral plan and 3D discounts! See how you can save $500! Visit our site for more information! Blackhawk Island is located in Ontario waters at the western shore of Lake of the Woods. This area has long been recognized as one of the better fishing grounds in Lake of the Woods. This area is rated as one of the finest muskie areas in North America. At Swampers, we believe in fishing/ hunting away from crowds. We are a small operation so book early. We fish the Winnipeg river from Kenora to north of Minaki to Whitedog dam–and Lake of the Woods– for musky. We also have trophy whitetail hunts. If you come, I’ll show you where to catch big musky and bag a big buck on camera. Get ready for this fall– if you archery hunt you’re in business here —–$1,800 for full week of archery on big bucks with camera pics- baited ready for you. Fishing is $800/ person–lodging /meals included. Less expensive rates for families! Check out our website – we will make you happy! In an underfished section of Lake of the Woods, Witch Bay Camp offers great food and lodging along with a staff of fishing professionals. Marv Kiley, of M&G spinnerbait fame, heads their musky program with a hands on approach to help put you on fish. Is it time to come and enjoy some of Canada’s unspoiled and pristine fishing waters? Young’s Wilderness Camp is located on a remote five acre island on Steven Bay, which is seven miles long and comes off the famous Sabaskong Bay, Lake of the Woods, Ontario, Canada. It is the only resort located on Stevens Bay so fishing and hunting pressure is low as there is no public access into this area. Stevens Bay is an excellent spawning ground for all species as there are numerous bays and coves with weed beds that drop off to the deeper water. Muskie fishermen will see trophy fish over 50 inches long! Click to find out more! Nestled in the foothills of the Appalachian mountains in the Daniel Boone National Forest and just a short drive from beautiful Cave Run Lake, Morehead is your destination for outdoor recreation and huge musky! 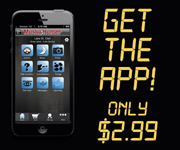 Check out everything Morehead Kentucky has to offer! The Staff of Kentucky Mountain Muskie is pleased to announce that they now offer complete accommodations. Lodging packages and a complete all muskie tackle shop are available for the new millennium. Tony Grant, his guides and clients boated 7 of “The Cave’s” 13 Fifty inchers last year. Vacationland Resort is located on the Cisco Lakes Chain of 15 Lakes in Michigan’s Upper Peninsula and offers you the ultimate in an outdoor vacation getaway. Our guests have 270 miles of shoreline to enjoy along with 15 lakes for fishing, boating and swimming. It also makes a unique area to kayak and canoe for a quiet perspective of the area’s wildlife and beauty. Lake Vermilion, Minnesota’s southern-most Canadian Shield lake, encompasses over 40,000 acres of musky habitat. Stay at one of our 37 resorts, campgrounds, inns or hotels. Only 3 ½ hours north from the Twin Cities. This 10 cabin resort in Northeast Minnesota is the perfect setting to enjoy the world class fishery – Lake Vermilion. Centrally located on the eastern portion of 40,000 acre Lake Vermilion, the resort caters to both serious musky anglers as well as families looking to blend a fantastic family vacation with the chance to catch a personal best musky! Cabins range from 1 to 5+ bedrooms with a variety of prices to fit any budget. Reserved dock spaces with electric, paved roads right to us and a paved launch, plentiful boat rentals, and most importantly, our ideal central location won’t disappoint. Pehrson Lodge is the classic Minnesota resort located on spectacular Lake Vermilion. Exceptional accommodations ranging from one bedroom lakeside cabins to our 12 bedroom Grand Vermilion Chalet retreat center provide something for everyone. We cater to the needs of families, couples and fishermen. Spring and fall guests primarily fish and enjoy the peace and quiet of the seasons. Attentive dock staff, seasoned guide service, tackle shop and expansive rental fleet complete the vacation. Summer family resort guests also enjoy Vermilion’s tremendous fishery with the added benefits of a beautiful sand beach, daily children’s programs, and free use of sea kayaks, sailboats, windsurfers, canoes and waterskiing. Vermilion is truly one of America’s outstanding lakes. Over 40,000 acres, 1,200 miles of lake shore and 365 islands make Vermilion a fisherman’s paradise. Long renowned for walleye, bass, northern and panfish, and offering trophy potential for each species, Vermilion is also recognized as Minnesota’s new, untapped muskie fishing resource. A highly successful musky stocking program combined with a strong catch and release practice has resulted in a large number of 45-55 inch muskies with 55+ fish not uncommon. We invite you to join us at Pehrson Lodge. One of Minnesota’s finest year-round family resorts. Fifteen superb vacation homes fully equipped with kitchens, decks, screened porches; several with dishwashers, fireplaces, sauna and Jacuzzi tubs. Amenities include: heated outdoor pool, sand beach, sauna, playground, family activities, paddle boat, canoes, bonfire pit, concrete boat ramp, gas, bait, laundromat, variety of rental boats. Resort’s Lodge overlooking the lake with a large game room, lounge, and general store. American Plan home-cooked style meals served in the Lodge. Excellent accommodations, beautiful location, top-quality service. Visa, Discover, and Mastercard. Arbor Vitae Campground is located 5 miles northeast of Minocqua, on Big Arbor Vitae Lake. Big Arbor Vitae Lake is 1090 acres of the best fishing the Northwood’s has to offer. It’s a “class A” musky & walleye lake which also offers the best bass fishing ever. This, along with pan-fish of all kinds, will make your fishing dreams come true.Â We offer our campers the best camping and fishing, the friendliest people and the most relaxing time you’ll ever have. Hayward is home to 5 world record muskies. Check out our weekly fishing report. Our area has over 200 lakes with outstanding fishing for trophy musky, northern, walleye, bass, crappie and panfish in Wisconsin’s beautiful northwoods. We will gladly help you find a place to stay. Call 1-800-724-2992 or click here. Escape to paradise in the Northwoods! Peyer’s Paradise is situated on beautiful Rangeline Lake in the northwoods of Wisconsin, on the Three Lakes Chain (the world’s largest inland chain of lakes). We are located just 2 minutes north of Three Lakes and 6 minutes south of Eagle River. If you are looking for a family vacation spot that has something for everyone, you have come to the right place. We are open year round for you to enjoy all four of our beautiful seasons! Twin Waters offers a quiet, fun-filled vacation amidst a forest of tall pines & hardwoods on the shore of Big St. Germain Lake, with access to Lake Content, Fawn Lake & Lost Creek. All summer & winter activities are accessible from your door. We have boats, motors, pontoon, canoe & paddleboat rentals, sand beach, playground, gameroom & campfire pit. Cottages are fully equipped including microwave, color tv, cable, vcr, screened porch, grill, picnic table & most with a fireplace. If you’re looking for a quiet family resort, Wihega Resort is located on Little Spider Lake in the magnificent Northern Highlands American State Forest just north of Minocqua and South of Boulder Junction, Wisconsin. Our well-groomed property and a beautiful sandy beach make it the perfect place for your family to relax and spend time together. At Wihega Resort we offer a variety of family activities. Included in these are fishing, swimming, water-skiing boating and snowmobiling are just some of the activities you will enjoy year round while staying with us.